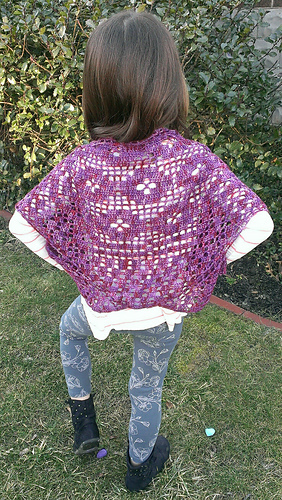 Shawl is sized for a Child Small, Medium, and Large. Shawl show is a medium. Main Triangle size is 46” wide by 15.25” tall (48” wide by 17” tall, 49.5” wide by 18.5” tall). 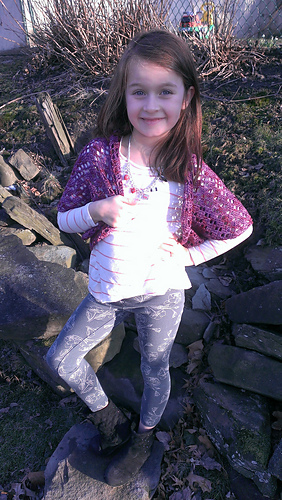 By joining the ends of the shawl together, it cocoons around the arms making it fun for all girls to wear and enjoy. The simple filet pattern keeps you entertained while zooming off your hook. 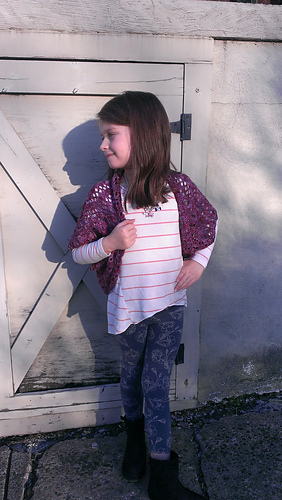 Shawl is sized for a Child Small, Medium, and Large. 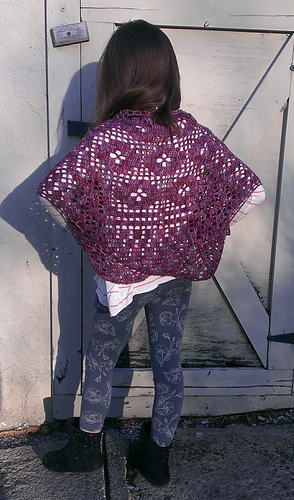 Shawl shown is a medium. Main Triangle size is 46” wide by 15.25” tall (48” wide by 17” tall, 49.5” wide by 18.5” tall). 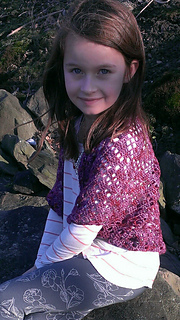 Pattern Note: Pattern uses a filet chart for main portion of the shawl, using written directions for increasing/ decreasing and finishing. Filet Pattern Notes: Solid boxes on the filet chart are made of 4 double crochet. Empty boxes on the filet chart are made of 2 double crochets separated by a chain 2 space. Flower Boxes on the filet chart are a combination of chains and single crochets see stitch diagram for assistance.